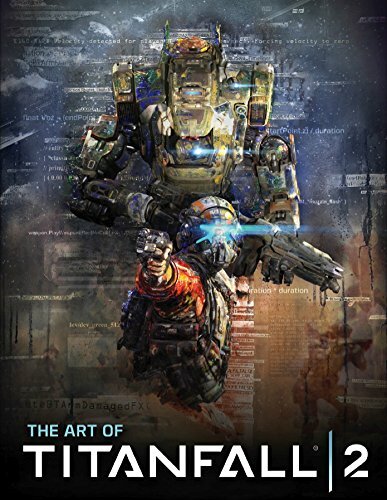 The first Titanfall artbook was awesome and this second one is great too. Once again you get to see lots of mecha designs. I love the look and little details especially the worn out paint work that really makes those Titans look more believable, used. There are 3D renders as well as sketches. The overall look for each Titan is quite amazing because there are so many individual parts that are put together that makes me wonder how these Titans are assembled. Character designs for the pilots look really cool too. They all carry lots of military gear and pouches. Again, lots of details to see. There's also a large sections on vehicles, turrets, drones, weapons, guns and other props. About a third of this 192-page hardcover are on environment art. It features the sci-fi locale of Beacon, Boomtown, Homestead, IMC, Kodai, Timeshift, Dry Dock, Reclamation, ships, Skyway, Stasis and the Wilderness. Artworks that overlook the vast landscapes feel immersive and the interiors are very sci-fi industrial. The last few pages feature some really cool photos of maquettes. The figures are of pilots. Parts are printed using 3D printers and then assembled together. There are lots of details. What amazes me is how the 3D printer can print texture that's like cloth. The overall look of these maquettes look like they were sculpted. Very impressive. Thank you for the good overall look at the book, as well as the sneak peak inside. This review was informative and to the point. Well done, and appreciated.